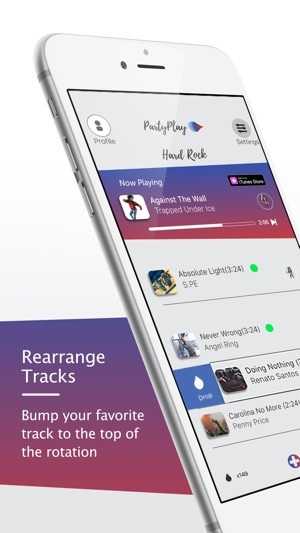 Party Play is the best fee jukebox app to discover and share new and trending music with friends in events or car rides. Create a shared playlist and listen to music shared by friends. No more swapping phones. 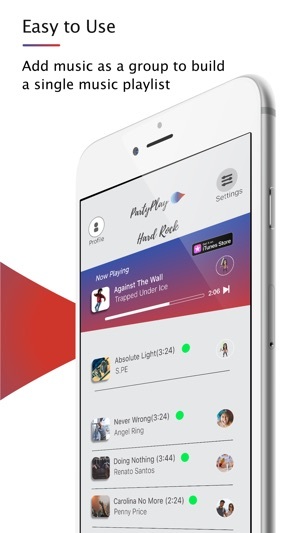 With Party Play you get unlimited access to the world of music, you get the power of creating a collaborative playlist with friends anywhere, any time from different sources of music such as Spotify, Apple Music or your downloaded music. Easily play any song, artist or album for free on mobile. * Create a playlist with friends anywhere or join to a nearby playlist by geolocation. * Keep your playlists, albums and recent selections from others streaming platforms and downloaded music (mp3 or any other) in the same place. 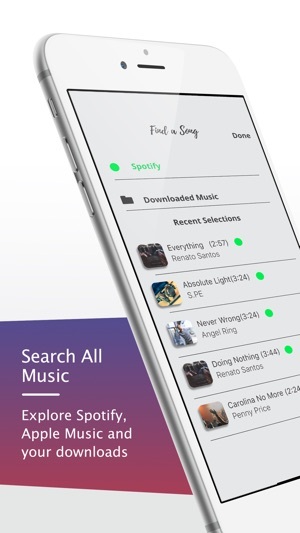 * Unlimited possibilities; play any playlist, artist or any song from several sources of music streaming services integrated to Party Play such as Spotify music and Apple Music and coming soon YouTube music. * Multi- add button to create a Dj Playlist, select entire playlists or albums and add it to the same playlist. 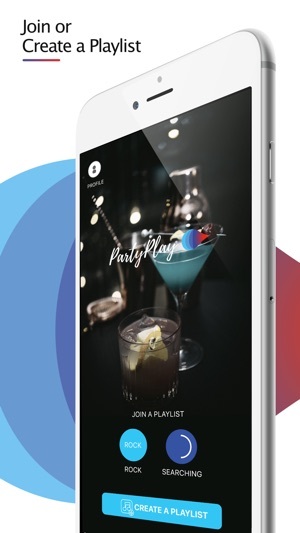 * Be the king of the party; Defy friends to skip the queue, rising their songs to the top of the playlist using drops, Drops are in-app purchases. * Score free Drops for your next get-together by sharing Party Play App using any social network, Twitter, Facebook, SMS, email, you decide or through a special link. * Make your event atmosphere unique. * Music playlist for events, road trips, music playlist at the beach with friends. * A social jukebox for your favorite bar and your parties, you and your friends could be a group DJ. Share, collaborate, and enjoy every moment! Make your next get-together a Party Play event! Finally, Apple Music integration is here. Feel free to add your favorite music to the collaborative playlist. Thanks for your feedback.We are working hard to make your parties better. I can not sign up with Facebook. Hi Dear user, we want to apologize, we have fixed this issue , could you please update the app and let us know.